KEN YUSZKUS/Staff photo. 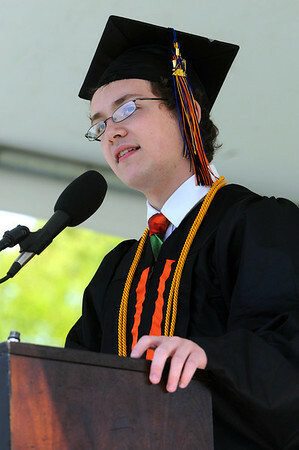 Salutatorian H. Tyler Visnick gives his speech during the Beverly High School graduation at Hurd Stadium . 6/1/14.